The three-year John Molson School of Business MBA in Investment Management program combines the academic rigor of a traditional MBA program with preparation for the Chartered Financial Analyst® (CFA) designation, preparing students for the world of investing. Offered in both Montreal and Toronto, the MBA in Investment program at Molson takes place on Wednesdays evenings from 6:30–9 p.m., and Saturdays from 9 a.m.–3 p.m. on alternating weeks. Professors travel between both cities, allowing students to participate hands-on, while virtually interacting with the adjourning class. Each year of the three-year program is split into levels: CFA Level 1; CFA Level 2; and CFA Level 3. The full, detailed course listings for each year can be found here. 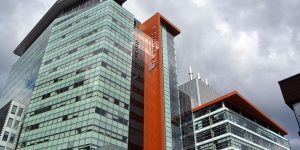 The cost per year for the John Molson School of Business MBA in Investment Management program is $22,000 for Canadian residents, and $27,000 for international residents. The costs includes: MBA prep courses; CFA preparatory week and study material for CFA exam-registered students; workshops; networking assistance; speaker series; a CFA Institute-approved calculator; travel and hotel expenses; and more. CFA membership and exam fees are not included in the total cost. Fellowship awards and financing information can be found here. Non-Canadian residents must also submit a Québec Acceptance Certificate (CAQ) and a Canadian Student Authorization. Applications submitted after the requisite deadlines will be reviewed on a case-by-case basis, pending the amount of spots left in the program.